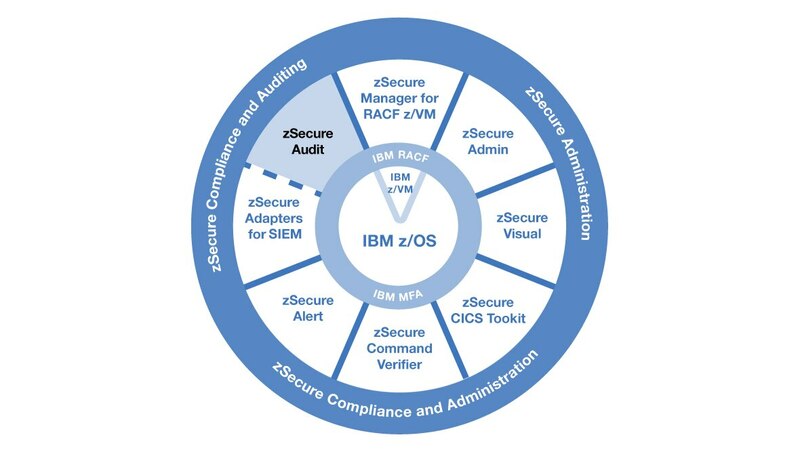 IBM® Security zSecure™ Audit measures and verifies the effectiveness of mainframe security policies for IBM Resource Access Control Facility (RACF®), CA-ACF2 and CA Top Secret Security. zSecure Audit generates reports to quickly locate problems associated with a particular resource — such as an unprotected data set — to provide vulnerability analysis of your mainframe infrastructure. It also provides a compliance framework for testing against industry regulations. As a result, you can reduce errors and improve overall quality of service. Avoid expense with a broad coverage of audit control points and security event records. Creates an audit trail by producing overview and detailed reports about system and user. Generates customizable reports when specific events occur or when there is a security breach to help quickly locate problems so you can reduce errors and improve service. Uses data analytics to detect system changes to help minimize security risks. Identifies changes in members of partitioned data sets and indicates whether a member was added, deleted or changed. Allows you to access live security data on mainframes running IBM z/OS® with RACF, ACF2 or Top Secret, delivering up-to-the-minute audit accuracy.